Few UK gardeners look forward to the winter months. The rain is usually the first to come. That may well be welcomed initially, but often there is just too much of it. In the deep heart of winter though comes the frost and snow. We thought we would offer some winter lawn care tips, through this difficult season. For most home owners Winter is a very quiet time in the gardening world. For some people that is a relief of course, but for keen gardeners, this is a time to do some useful preparation work. If you know how to care for your garden in the colder months, then when Spring time arrives, you can reap the benefits. There are some tasks that you can do in the winter months from around November to February. Now it depends on which part of the UK that you live. Clearly the more Northern parts, will as a general rule, be colder than those in the South of the country. However, you should be able at some stage to do these tasks. Tidying Time - This is probably the thing that I do the most. After the Summer and Autumn there may have been a lot of activity in the garden. This is the time to tidy everything up by doing just a general sweep of the garden. I look for anything that should be in the bin, tools that may have been left out, or make a not of anything that need fixed. Clear any fallen leaves from the lawn, to allow the grass to breathe. Patio or Deck Furniture - Many gardeners will take their furniture indoors in late Autumn or early Winter. Personally I store my chairs, lamps, and BBQ in the garage. It is really important to give it all a good clean, before doing that. It certainly makes putting it back out again a more pleasant task. It is also a really good idea to brush and/or wash the patio or decking area down. Tools Service - I like to clean my tools after every use. Now I also know that many people don't do that. Winter is a great time to service tools like clippers, strimmers and lawnmowers. A simple clean, a few drops of oil is really all it takes. You can also check electric cords for safety. Fencing - Check the fencing if you have any. Just make sure it feels secure as the winter winds will act on an weak spots. Late Autumn and early winter is when I also like to paint the fence with some type of protection. ​This needs to be done before the onset of the very heavy rain, or heavy frosts. 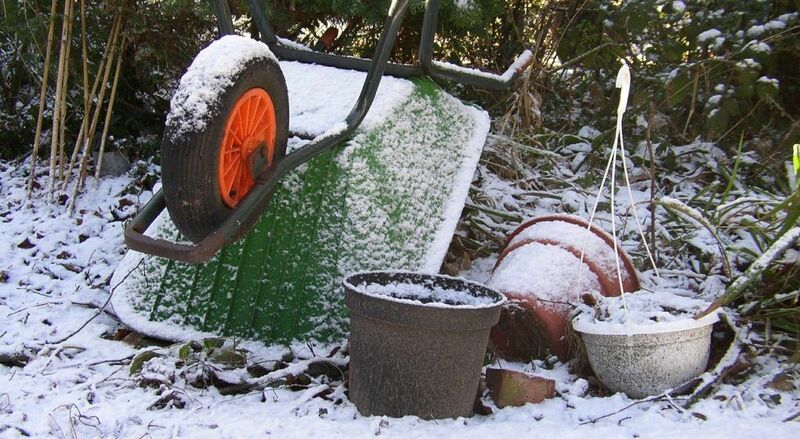 If you have garden beds, or borders this is the time to turn them over with a spade. That allows the soil to breathe and get air in and around it. 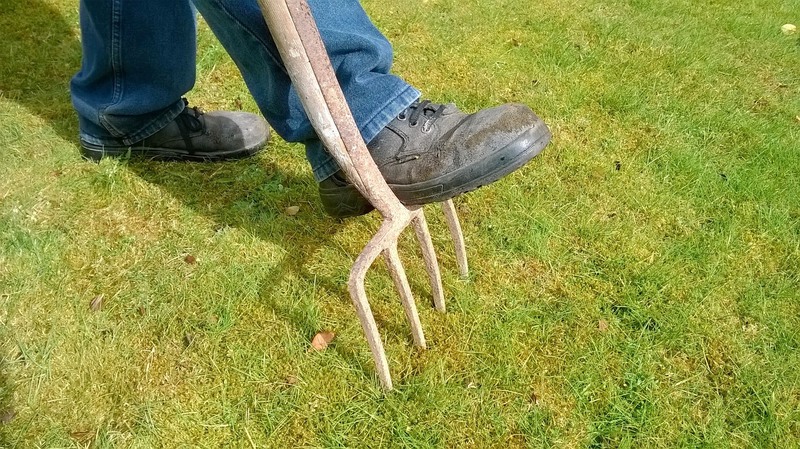 A digging fork is best for doing this task rather than a spade. ​Rake up or vacuum up any fallen leaves and use those to make compost. You just need to stack those in a moist position, and then allow them to rot fully for about 12-18 months. These types of leaves make a great compost at this stage. ​This is the time to lay new lawns from turf. If the weather is suitable, the soil conditions are right and there is good drainage, there is no better time. You can also drain existing lawns at this time. Make a series of small holes in the lawn surface that will take away excess rain. You shouldn't feed your lawn in late Autumn or during the Winter months. Most gardeners know that when you feed a lawn, you encourage growth. That is not something you want to do. The cold weather will simply kill off young growth, and also damage you lawn in the long term.